Senior Aviator Awarded for flight hours between 251 and 500. Master Aviator Awarded for achievement of 501+ flight hours. Distinguished Service Medal Awarded to those individuals who exemplify the highest levels of esprit de corps, promoting unity, and who have made a significant contribution to the success of the organization. Qualifications for this award must be quantifiable by the recommending party. This is vUSAA’s highest award. Additional awards will be denoted by the addition of oak leaf clusters. Distinguished Flying Cross Awarded for excellence in virtual flight, achieving 20 successful missions in a given operation, or the successful destruction of 5 individual targets on a single mission. Additional awards will be denoted by the addition of oak leaf clusters. Army Commendation Medal Awarded for excellence in virtual flight, achieving 10 successful missions in a given operation. Additional awards will be denoted by the addition of oak leaf clusters. Army Achievement Medal Awarded for excellence in virtual flight, achieving 5 successful missions in a given operation. Additional awards will be denoted by the addition of oak leaf clusters. Good Conduct Medal Awarded upon the successful completion of 1 year of qualified service. Each additional year will yield an additional bronze loop device. 6 years of successful service will yield 1 silver loop device. National Defense Service Medal Awarded for the successful completion of Mission Qualification Training in their primary airframe. Armed Forces Service Medal Awarded for the successful completion of organized military exercises for which no other campaign ribbon is awarded. Humanitarian Service Medal Awarded for the successful completion of 5 missions in the support of simulated humanitarian relief campaigns or operations. Additional awards will be denoted by the addition of service stars. Antarctica Service Medal Awarded for the successful completion of 5 missions in support of joint VSOA “Operation Deep Freeze” exercises. Subsequent participation in future events will result in the addition of bronze "wintered over" device for 2 campaigns, and gold "wintered over" device for 3 or more campaigns. Certified HC Pilot Awarded to those individuals who successfully complete the hovercontrol.org rotor pilot training program. 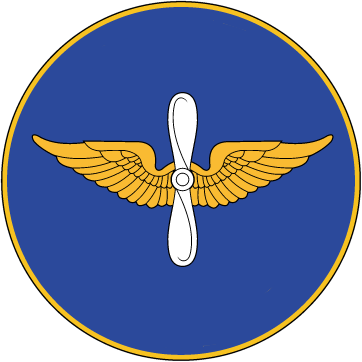 Basic Instructor Pilot Awarded to individuals who have qualified for and serve as Basic Instructor Pilots. Senior Instructor Pilot Awarded to those individuals who have qualified for and serve as Senior Instructor Pilots. Master Instructor Pilot Awarded to those individuals who qualified for and serve as Master Instructor Pilots. VATMILEX Campaign Ribbon Awarded for the successful participation and completion of the multi-VSO military exercise known as VATMILEX.